Udaipur is situated on the bank of river Chandrabhaga in Lahaul and Spiti district of Himachal Pradesh. The altitude of Udaipur is 2743 meters from sea level. Earlier Udaipur was known as Markul or Margul. 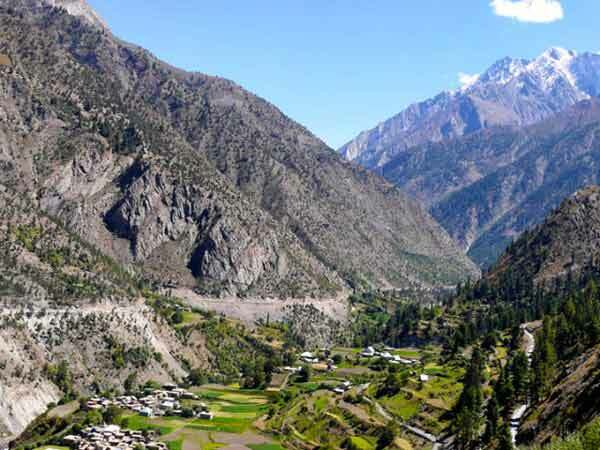 In 1695 Markul was renamed Udaipur when Raja Udai Singh of Chamba (1690-172’8) raised it to the status of a district centre in the Chamba-Lahaul. In the old time Udaipur famous for the ancient Marikula Mata temple. 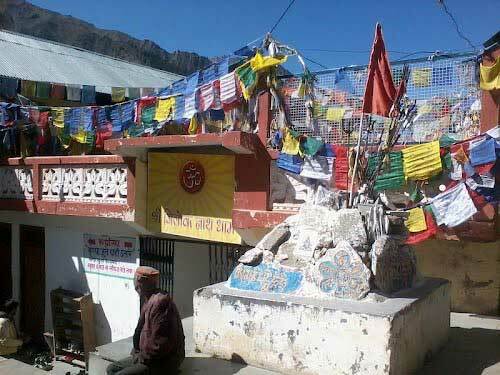 Marikula Mata temple is visited by both Hindus and Buddhist pilgrims. Marikula Mata temple is famous for unique wooden carving on its roof and ceiling. Udaipur is starting point for Mayur valley and Zanskar peaks. The Marikula Mata temple have been constructed in Tibetan and Hindu styles. Temple is made up of wood and stone. Marikula Mata Temple is ancient and beautiful. The three headed image of Vishnu,which represents the transitional phase in Buddhism is one of the prime attractions in Marula Devi Temple. The external part of temple is ordinary because of vagaries of nature. The internal part of temple is rich in artistic quality. The wall panels depict scenes from the Mahabharata, Ramayana, Sunderkand, Yuddhakand, grant of ground by Raja Bali to Vaaman, three headed incarnation of Lord Vishnu. The ceiling consists of nine panels of different size and shape. Trilokinath is one of the names of lord Shiva. The meaning of the Trilokinath is lord of the three worlds. Idol of Lord Shiva is made of marble. Iidol of Lord Shiva is revered by Hindus. The Bhuddhists worship the idol as Avalokiteshwara which is crowned with an image of Amitabha Buddha. There are various speculations about the origin of the temple. First speculations about Trilokinath temple is that the temple is initially dedicated to Lord Shiva later the temple is transformed into a Buddhist temple by Padmasambhava. Second speculations about Trilokinath temple is that the temple is an example of Kashmiri-Kannauj style. Though differences persist about the Hindu or Buddhist origins. 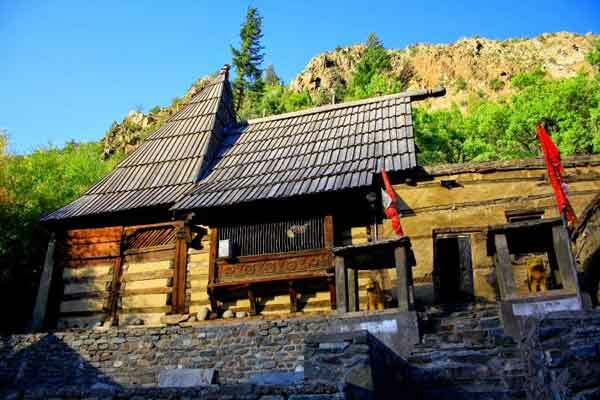 But the Trilokinath temple follows tradition which does not clash with both the religions. Best time to visit Udaipur: July to September.